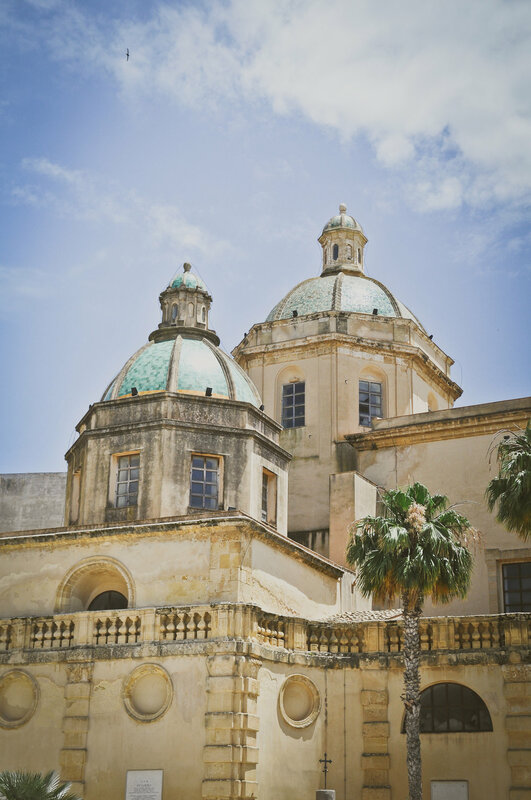 “Vaguely redolent of a North African kasbah (and still bearing the Casbah name), Mazara's historic quarter is a labyrinth of narrow streets, sprinkled with magnificent baroque and Norman-period buildings. It's small enough that you won't ever really get lost, and the dilapidated old buildings give it a rugged charm. Mazara was one of the key cities of Saracen Sicily and the North African influence is still strongly felt here.” – says Lonely Planet. In the historic centre, you’ll see the remains of the Norman castle, floodlit at night, in Piazza Mokarta. Nearby is Mazara’s main square, Piazza della Repubblica, home to the baroque-style cathedral (built in the 11th century, restored in the 1600s). Among its grand columns and arches is an 11th century fresco of Christ, a famous collection of marble statues and three Roman tombs. In the same square is the neoclassical Seminary Palace, housing The Diocesan Museum. In Piazza san Michele there’s a charming church attached to the San Michele convent for cloistered nuns. You can buy “bocconcini” (almond pastries) from the nuns but the church is only open early in the morning for mass.Don’t miss the Museo del Satiro: a tiny museum in a former church on Piazza Plebiscito housing the world-famous Dancing Satyr, a stunningly beautiful bronze statue from 4th century BC, or maybe even earlier. It was discovered at the bottom of the Sicilian channel by local fishermen in the 1990s, and is an extraordinary example of Greek art at its best. A video with English subtitles tells the story of its discovery and painstaking process of restoration. Mazara’s best beach is Tonnarella, also known as Lungomare Fata Morgana, about 5 miles from Santa Maria. There’s a mile of white sandy beach, lined with rustic beach bars, and the sea is usually warmer than at other local beaches. (The water is fairly shallow, so suitable for small children, plus there are peddle-boats for hire.) The nearest beach to Santa Maria is San Vito, in the centre of town. It’s not the nicest one to sunbathe (its next to a main road), but very nice to walk along the promenade in the evenings as the sun sets. To the left of the town centre past the huge bridge is five miles of rocky coastline with little coves and very clean sea. There are a couple of lidos such as Golden Beach and Lido Costanza where you can hire sunbeds and beach umbrellas (but access to the sea is via rocks). The same road takes you to Torretta Granitola (pictured left), an ex-fishing village, now a local resort but still has a simple, rustic charm. There are various bars which serve snacks and ice cream and a small beach. For bigger and better local beaches go beyond Torretta - take the road to Kartibubbu and turn off the dirt track at the Faro (lighthouse). Beyond Kartibubbu you come to Tre Fontane with miles of clean beach (brown sand rather than white here). You can go windsurfing or kite surfing at Puzziteddu, which is just beyond Torretta. Sitting on top of a hill overlooking the Mediterranean Sea, the Greek ruins of Selinunte are among the most impressive of the Ancient Greek world, and certainly one of the most captivating historical sites in Sicily. The remains of Greek temples (which were built in 6th century BC) are spread across two sites - the eastern hill and the acropolis. You can combine a trip to the temples with a swim at Marinella beach. By following the road south you come to the beaches of Sciacca (pretty town with a tradition of ceramics) and Eracle Minoa, where there’s an ancient Greek theatre and a lovely white sandy beach. 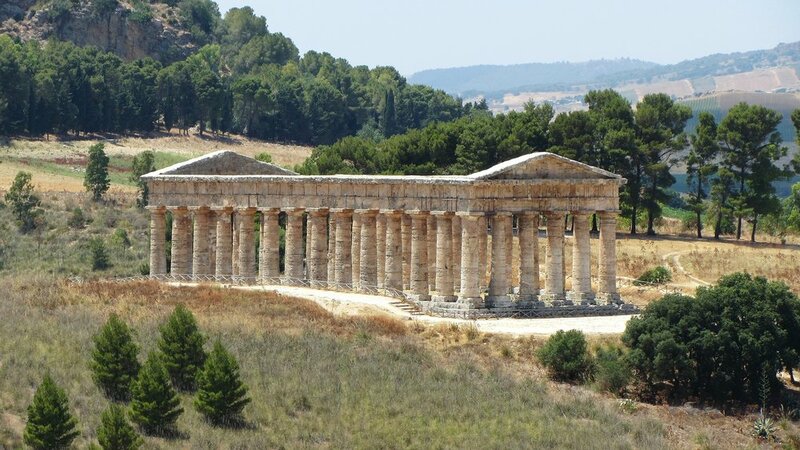 Segesta is one of the best preserved temples in the world. Built by the Elymians (ancient indigenous population of Sicily) with the help of Greek colonists before 430 BC, the Doric Temple is the only Greek temple in Sicily that didn’t fall or get converted into a church. Nearby is Monte Barbaro, an amphitheatre built at the same time with a wonderful backdrop of the surrounding countryside. It’s used as a venue for open air classical plays and concerts during summer months. By car: 45 minutes. 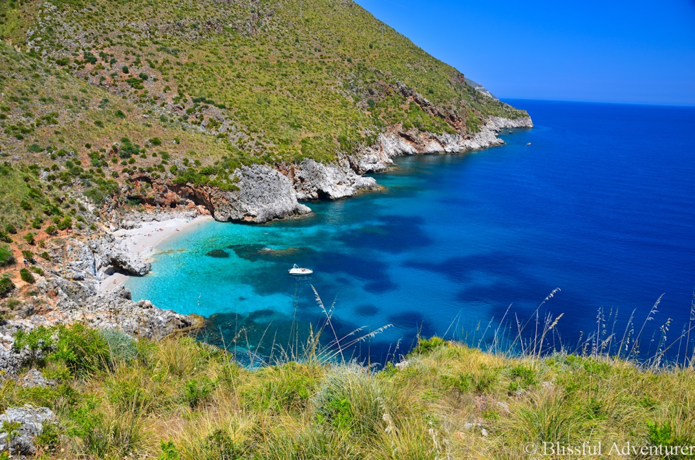 One of the Egadi Islands, Favignana boasts clear, Caribbean-like waters, though almost all the beaches are rocky. You can zip round the island checking out the different beaches by moped or bike, which you can rent by the port. Pack a picnic or have lunch in the small town centre. It’s an easy day trip from Mazara, but also nice to stay the night (book well ahead). If staying till the early evening, we recommend having an aperitif while watching the world go by in one of the bars in town. There are other beautiful islands to choose from too, such as Marretimo and Levanzo. To get there: a 20 minute ferry ride from Marsala. Scopello is a charming hamlet built around an 18th century baglio. Little white houses and atmospheric piazzas overlook the sea, making Scopello a scenic spot for lunch or dinner. Down by the shore is the historic tuna factory (where Ocean’s Twelve was filmed). Scopello has a well-known idyllic cove with clear blue waters and a pebbled beach, Spiaggia dei Faraglioni. This is a partly excavated Phoenician island in a lagoon of saltpans with remains of fortifications and an interesting museum. The star exhibit in the museum is the 4th century BC marble statue of the Ragazzo di Motya, found in the lagoon in the 1970s. By car: 45 minutes. Take ferry from lagoon. Erice is a beautiful medieval hilltop town 750m above sea level, packed with lovely churches (including the Chiesa Madre in Catalan Gothic style) and gift shops. Its most famous monument is the remains of a Norman castle built on site of an ancient temple to Venus Aphrodite where once upon a time sacred prostitution was practiced. From here, there are magnificent views of the valley below and the Mediterranean Sea. Highly recommended is the Pasticceria di Maria Grammatico – a cake shop belonging to an ex-nun, producer of exquisite Sicilian sweets including the famous almond pastries. By car: up to an hour and a half, a winding drive uphill. It’s well known for its sweet dessert wine of the same name, but this historic town is also worth a visit for its baroque buildings and elegant piazzas. Lots of nice restaurants and coffee shops too – and you can get the ferry to the Egadi Islands (Favignana, etc) from the port. There are wineries along the seafront (eg. Florio and Pellegrino, open to the public). Marsala was founded by the Phoenicians and thanks to the thick protective walls they built to surround the town, it was the last Punic settlement to fall to the Romans. In AD 830 it was conquered by the Arabs, who gave it its current name Marsa Allah (Port of God). The coastal town of San Vito Lo Capo is home to arguably the best beach in Western Sicily, which extends below a dramatic limestone cliff. It’s not far from Scopello and the Zingaro Nature Reserve. By car: up to 2 hours. Chaotic it may be, but Palermo boasts a fascinating history of battles and conquests. Partly due to its strategic position in the middle of the Mediterranean, the regional capital brought a succession of invaders including the Phoenicians, the Carthaginians, the Greeks, the Romans, the Saracen Arabs, the Normans, the Swabians, the French and the Spanish Bourbons. The result is an intriguing patchwork of architectural styles, as well as a unique cuisine. Palermo highlights include the Norman cathedral of Monreale; the 9th century Norman Palace and Palatine chapel, with its stunning gold mosaics and Arabic-style honeycomb carving ceiling; the Abbatellis Art Gallery and Museum - housed in a stately 15th century palazzo - featuring works by Sicilian artists from the Middle Ages to the 18th century, including the famous and mystifying fresco painting of the Triumph of Death; the Botanical Gardens and much more. There’s also Mondello beach, lined with good fish restaurants. Foodies will love Palermo’s famous Vucciria market where vendors wave steaming, boiled octopus in your face from 9am. Other delicacies are panelli (delicious chickpea flour fritters), and pane con la meusa (spleen sandwiches). By car: 1.5 hours. Agrigento, founded by Greeks in 581 BC, was once the 4th largest city in the known world. The Greek poet Pindar described it as ‘the most beautiful (city) of those inhabited by mortals’. Now Agrigento is Sicily’s biggest tourist attraction, thanks to the beautifully preserved, UNESCO-heritage ‘Valley of Temples’. They’re best visited early morning or evening before sunset. By car: 2 hours.